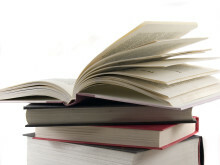 Rochdale Borough Libraries have announced an early success in the Reading Well Books on Prescription scheme, a mental health reading initiative supported by local libraries, schools and GPs. Rochdale Borough Library Service is all set to launch the Time to Read ‘Just 6 Minutes’ campaign, in order to help improve residents’ mental health and wellbeing. Rochdale Borough Library Service has been celebrating after receiving a bronze award from the Reading Agency, a charity which aims to increase reading confidence amongst the UK’s population. 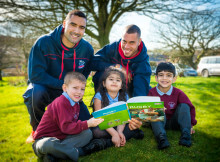 Players from the Rochdale Hornets Rugby League Football Club are encouraging children to scrum on down and become members of Rochdale Borough Libraries. Trains and railway journeys have a long history in literature – whether in Thomas the Tank Engine, The Railway Children or Murder on the Orient Express. Now Rochdale Borough Libraries are taking to the tracks in a bid to help improve the literacy and kick-start a love of reading in residents and commuters on World Book Night. There’s just one week left to enter the Time to Read ‘Reading Reward’ challenge, for a chance to win a £50 prize.